Spring 2019 Construction by MetroNet is well underway in several areas of town. The attached information informs citizens that any concerns should go directly to Metronet offices. Metronet continues to work within the City of Sycamore. Any questions or complaints can be directed to MetroNet in one of two ways. MetroNet will notify residents three times prior to construction commencing in their neighborhood. 30 Days Prior: A letter will be mailed to residents several weeks beforehand. 14 Days Prior: A postcard reminder will be mailed as the project start date draws closer. 3 Days Prior: Yard markers posted on the property serve as a final reminder to alert people that crews will be installing underground and aerial equipment in the next few days. Prior to the start of work JULIE and utilities companies will mark existing underground utilities with temporary paint and flagging. 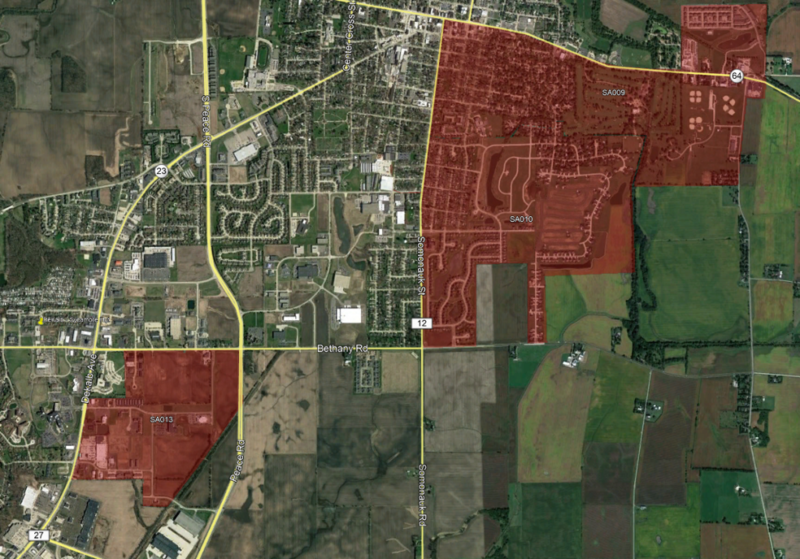 In the following days, MetroNet’s contractors will begin constructing their fiber optic network. This includes directional boring and the installation of overhead wires on existing poles. Work will primarily be routed in the same areas as existing electrical and communication wires. Up to four crews (2 Underground and 2 Overhead) crews will be permitted in one area. Restoration will be completed within three (3) business days after work is completed within that specific area. Follow up with be completed later in the spring.